So, I stumbled upon a site dedicated to cookies. 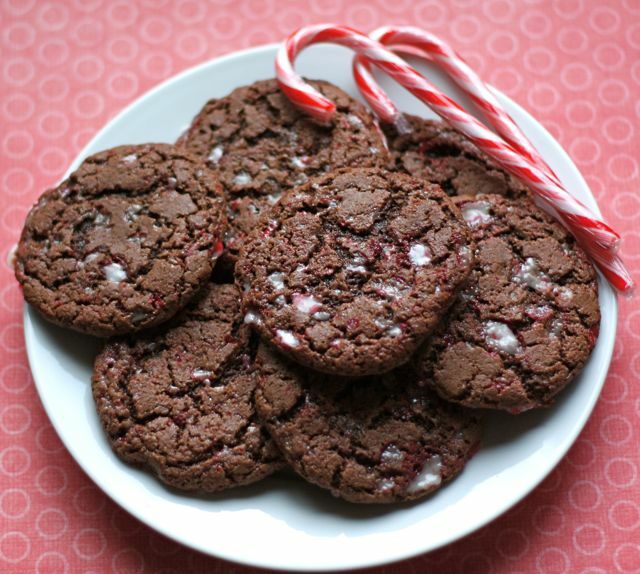 Over at Bake at 350, she’s got tips on baking cookies and better yet decorating. Oh, the decorating. I am in awe and completely inspired by basically every post on the site. 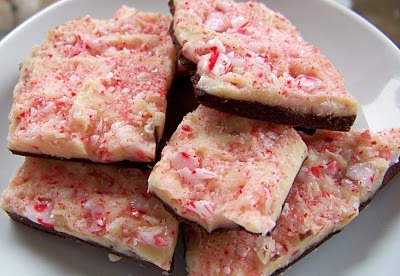 Since I will most certainly be testing out some of the Christmas cookies she’s done I’ve passed them over as our Daily Craving. 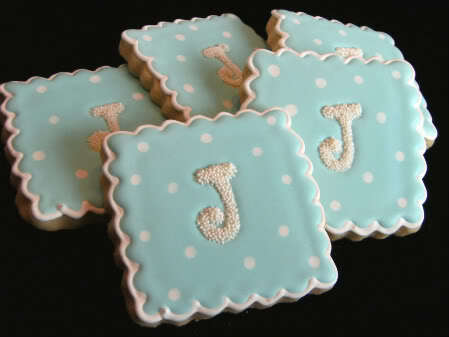 These beautifully monogrammed cookies are even better anyways. AND they’re even the monogram I’d use for my little one! 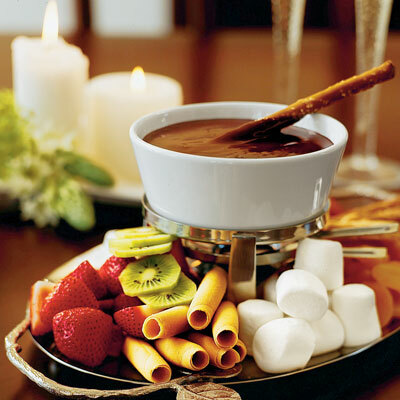 What better to join a plate of scrumptious desserts and fruit than a pot of melted chocolate? 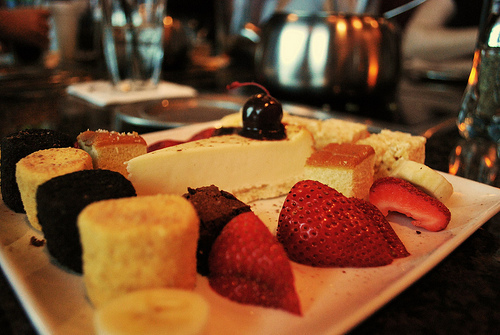 Reservations for fondue have been booked for tomorrow night, and I’m quite excited. Of course we’ll be having other courses than dessert, but let’s be honest this is the course we all really look forward to. 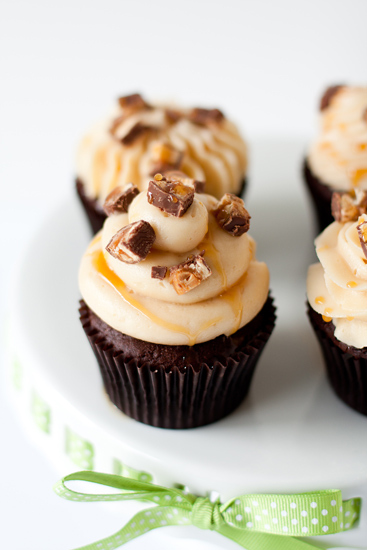 Snickers cupcakes. Oh. My. Word. Thank you for this craving My Baking Addiction. 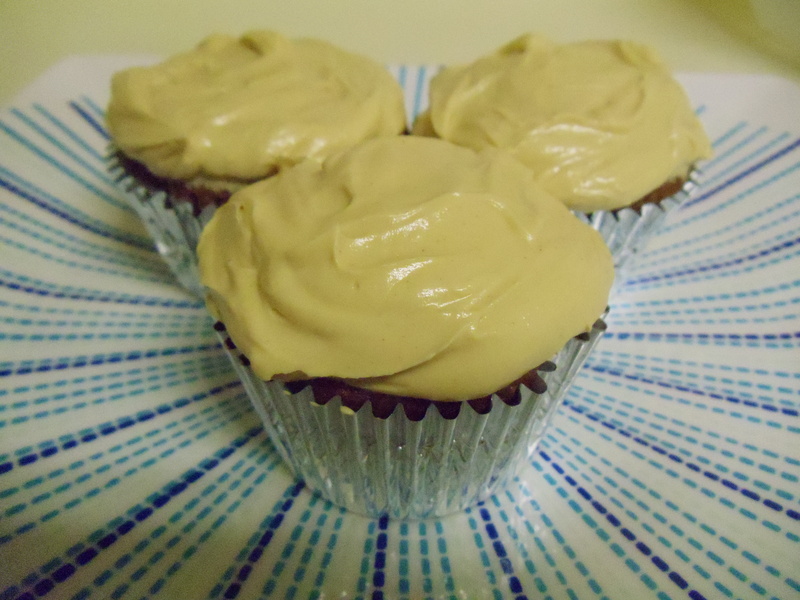 I looked around for a new chocolate cupcake recipe, you know, just to play around. After picking one I changed my mind -literally a few minutes before beginning to bake- and stuck with my current recipe. However, I did make one little change. 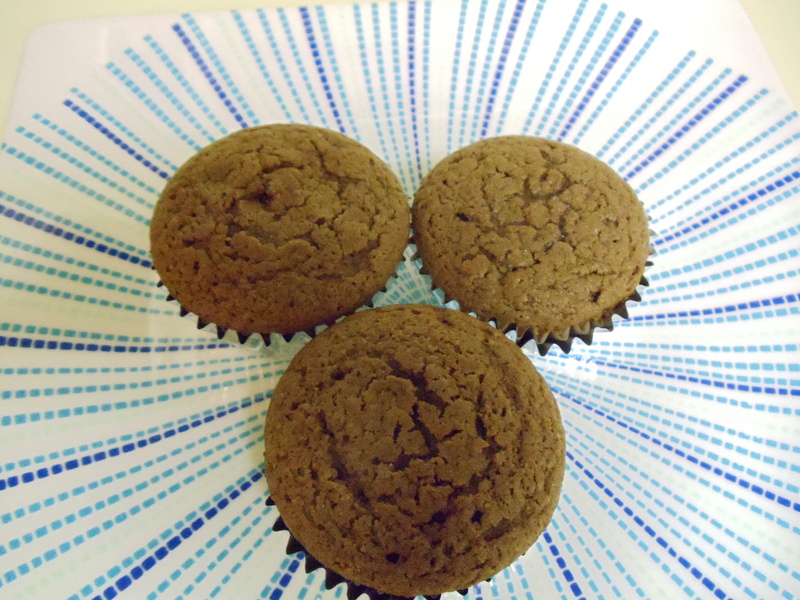 Rather than using milk in the Chocolate Cupcake recipe, I used one cup of sour cream. Yes, sour cream. 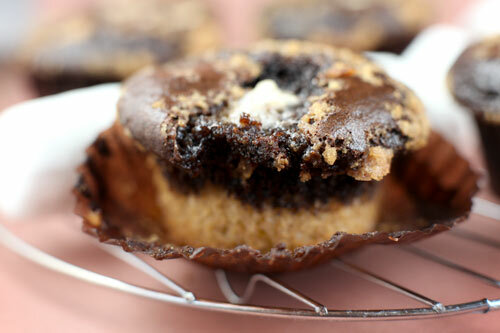 What resulted was a fluffy, moist cake that had a milk chocolate taste and a sweet kick that didn’t kick too hard. 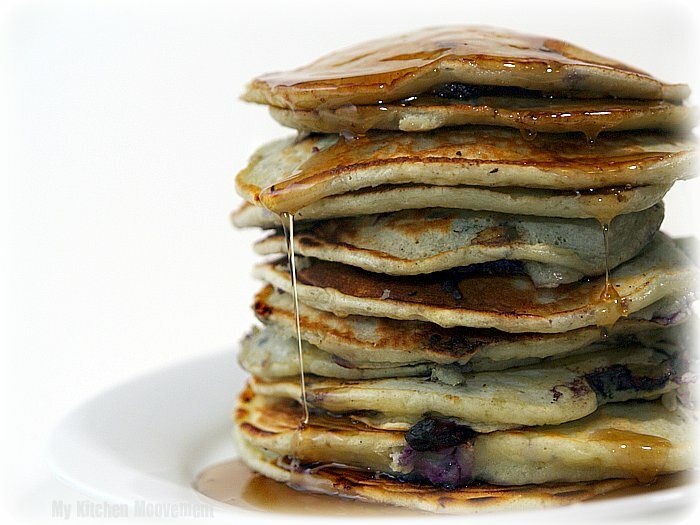 The perfect balance of flavors. 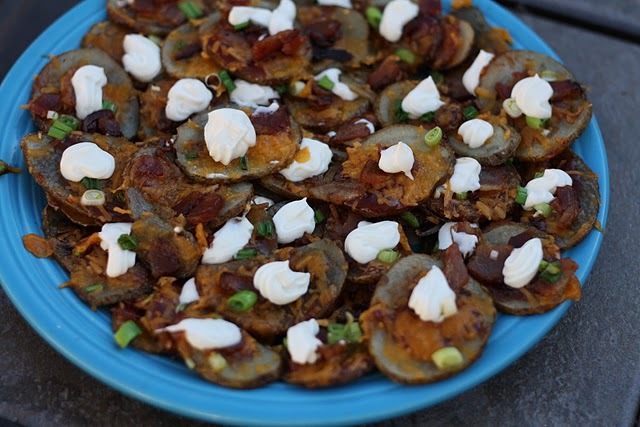 To do this, simply alternate the flour mixture with the sour cream. 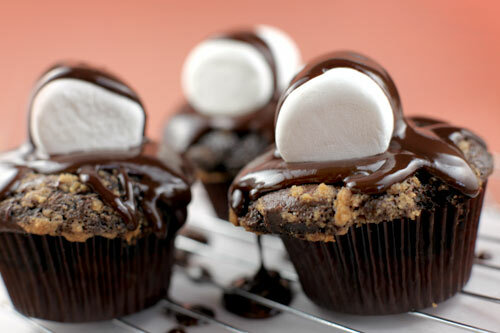 Easy as pie, er, cupcakes. 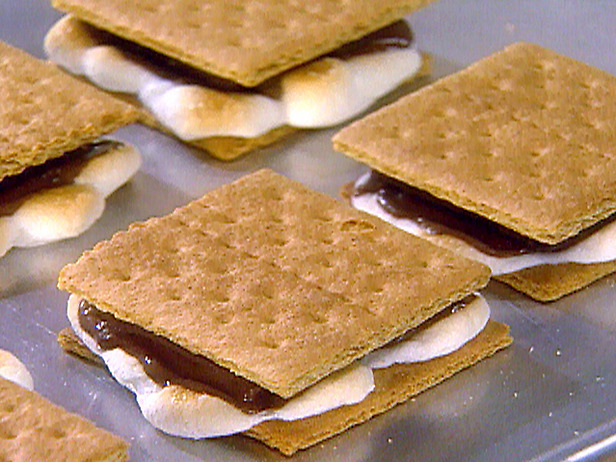 After baking at 350 degrees for 20 minutes, let them cool for 15 before frosting. 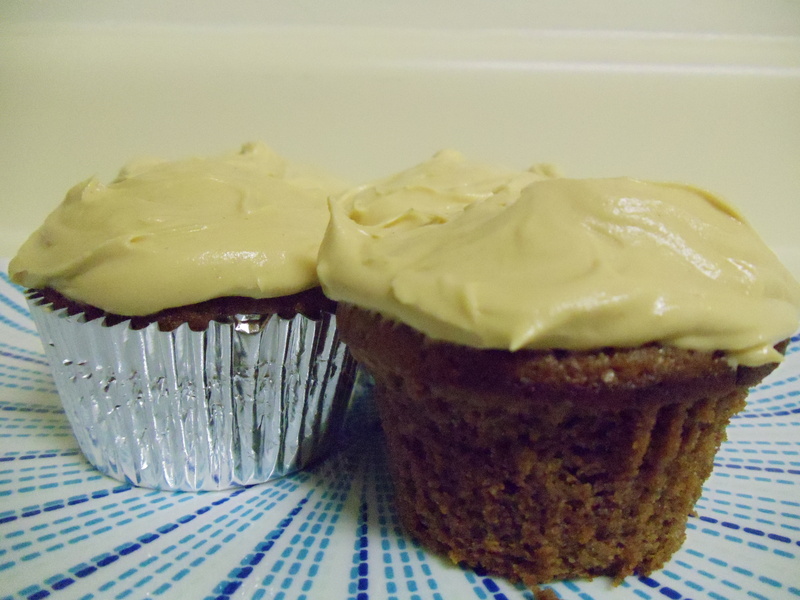 For the frosting, I kept things simple. The goal here was to really taste the chocolate and peanut butter (one of the greatest flavor combinations ever, in my opinion). Beat the butter until creamy, adding sugar and peanut butter. Add the vanilla extract then continue by adding 4 teaspoons of whipping cream. You may only need three, but I preferred four. I only wish I would’ve had more time to make them a little more aestetically pleasing; although, their taste is well worth the time. C’est la vie.